North End Gallery, in Whitehorse, Yukon, specializes in paintings and prints by Yukon artists. 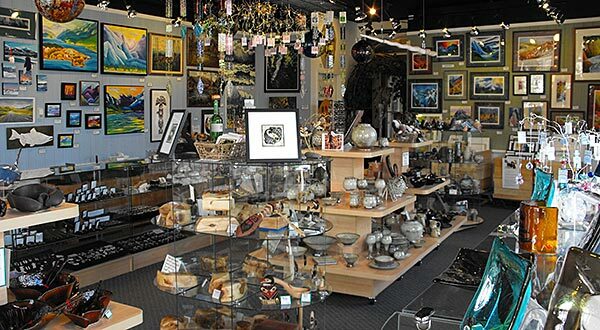 We also carry etchings, Inuit sculpture, pottery and ceramics, metal art, blown and fused glass, and wood creations. Our jewellery selection is crafted from gold nuggets, sterling silver, trade beads, semi-precious stones, and dichroic glass. A significant part of the gallery is devoted to First Nations artisans. We have a wide variety of work in mammoth ivory, moose antler, caribou antler, and sheep horn, from sculptures and carvings to pendants and earrings. We are proud to be 100% Canadian.